Summary: A gripping debut novel from “the FBI’s First Lady” (Vanity Fair) Jan Fedarcyk, featuring a brilliant young Special Agent named Kay Malloy, whose assignment to the Counterintelligence Program in New York City has devastating consequences—both personal and professional. I try to read a variety of mysteries/thrillers for Mystery Mondays, so I was excited to discover a debut author -- Jan Fedarcyk. 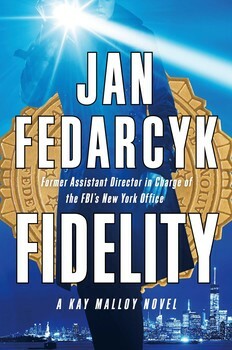 Ms. Fedarcyk is a former FBI Special Agent and Former Assistant Director in Charge of the FBI'S New York Office, and her new novel is titled FIDELITY. I figured if nothing else, they book should be pretty authentic, right? FIDELITY is the first novel in the Kay Malloy series, and I think it's a pretty good beginning. FIDELITY tells the story of Kay Malloy, a young officer who has recently been assigned to the Counterintelligence Program in New York City after having success and making a big bust in Baltimore's Violent Crime Program. She's very excited about her new assignment, but little does she know, that this job could have devastating effects on her career... and her life. 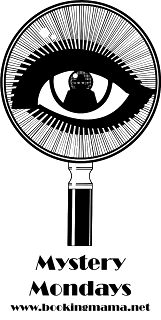 Kay is assigned to investigate Russian government double agents. It sounds kind of glamorous, but she quickly learns that her job involves a lot of research and drudgery. However, Kate is devoted and wants to prove herself. She's always the last one to leave the office. As Kate becomes more involved in the investigation, the lines become blurry; and Kate has to decide where her loyalty lies -- with her country or her family! I enjoyed FIDELITY and think Ms. Fedarcyk is on to something with this series. Kay is a likable and interesting character, and I do look forward to seeing more of her crime-solving skills in the future. 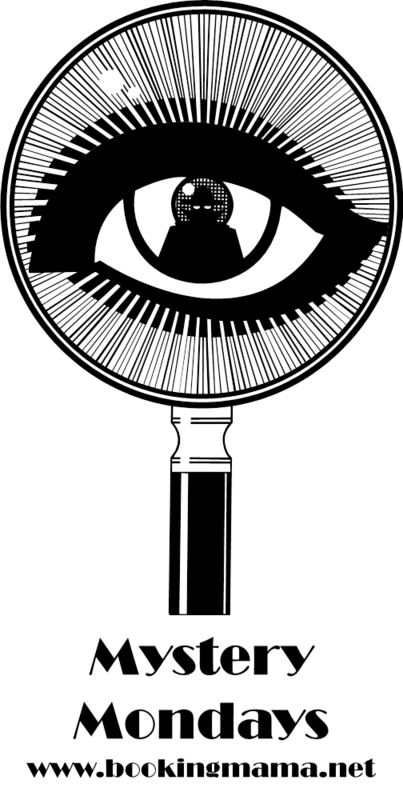 Since this is the first novel in the series, the author did spend some time establishing Kay's character. There was background information on Kay's childhood and the loss of her parents to a violent crime. As a result, Kay always wanted to work for the FBI and give back to her country. I definitely appreciated how the author wove the events from Kay's childhood into the present day story.... and that's all I can really say about that without giving away some spoilers. Another aspect of FIDELITY that I really enjoyed was getting an inside look into the FBI. All to often, the FBI's mission is portrayed as a much more exciting than it really is. I have a feeling that the tedious work that Kay did in the novel is much more representative of reality. There is a tremendous amount of grunt work involved by agents before they can make a bust, and this novel certainly helped to increase my appreciation of their jobs. Finally, I liked the overall mystery (or should I say mysteries?) in FIDELITY. There were a few twists, especially at the end, that I appreciated a great deal. While I did see one of the surprises coming, I thought the author did a terrific job of revealing the plot twists. Having said that, I do believe the last part of the novel was a bit rushed. I just think the pacing of the ending was a bit quicker than the rest of the story. But truly, that's a small issue -- it didn't take away from my enjoyment of the book. Overall, FIDELITY is a strong start to a new series. I loved the strong female character of Kay, and I thought the author brought a credible voice to the novel. Kay does sound like a great character. I have a feeling I'd like this book too!